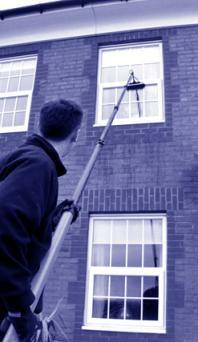 specialising in contract window cleaning to offices, shops and managed blocks of flats. We operate in Chelmsford and throughout Essex and Herfordshire. Using the latest equipment in the ‘Reach and Wash System’ with 100% pure water, extending to heights of 40ft. Mixed with traditional window cleaning methods, this enables us to offer our clients the complete service. We are also able to offer contract office cleaning and carpet cleaning providing an excellent solution to your cleaning needs. All cleaning contracts are tailor made to suit your own requirements. We also have the facility to carry out conservatory roof cleaning.